EA has announced a new Star Wars game. This was followed, quite hilariously, by EA with a tweet promising "no microtransactions, no loot boxes, and a pure focus on single player." You just know that you're in for some quality art when the developer's more interested in talking about the monetisation that's not in the game. Anyhow, this one is in development by Respawn Entertainment, and will be a third person action-adventure title. It takes place shortly after the events depicted in Star Wars: Revenge of the Sith, and you play as an apprentice Jedi who has escaped the order to kill all Jedi, and now needs to find a way to survive, while completing his training. This title takes place on a brand-new planet to the Star Wars universe, but we're promised that familiar faces will show up. The game releases on PlayStation 4, Xbox One and PC (via Origin) on November 15 this year. Warner Bros. confirmed ever-popular Kitana for Mortal Kombat XI last week, and has now backed that up with a dedicated trailer, which looks at some of her combat abilities, as well as one of her fatalities. Featuring a stunning, body-hugging costume (girl looks good for 10,000 years old), Kitana has her trademark deadly fans and wind-based special moves. Her fatality is... relatively lacking in the gruesome stakes, by the standards of what we've seen from other characters, so that might disappoint people. I mean, there's still bodies being sawn into multiple parts, but entrails and stuff aren't being used to make paintings with this one. MK XI is just around the corner. My main will be either Kitana or Cassie Cage, I reckon. Cytus for Nintendo Switch is just around the corner! I do love me some Rayark rhythm games. The developer behind Voez and Deemo, both already on the Switch, have one other rhythm game property on iOS; Cytus. And Cytus is particularly good. Of the three on mobile it's the one I would have played the most. Now its Switch release is just around the corner. The game releases digitally on April 25, and a physical edition will follow on May 14. There's a catch; this is only in North America at this stage. There's no confirmed Australia/ EU release date just yet. Thank Miku for the Switch being region free. This game will have over 200 music tracks - including some previously unreleased on the mobile version of the game, as well as a story mode, and plenty of difficulty options. That's the other great thing about Rayark rhythm games... you never actually finish playing them, because they always have that much music in them. Tabata Hajime was the director of Final Fantasy XV. Having left Square Enix to start a new studio, JP Games, Tabata has now announced his teams first project - a sports-based JRPG about paralympians. 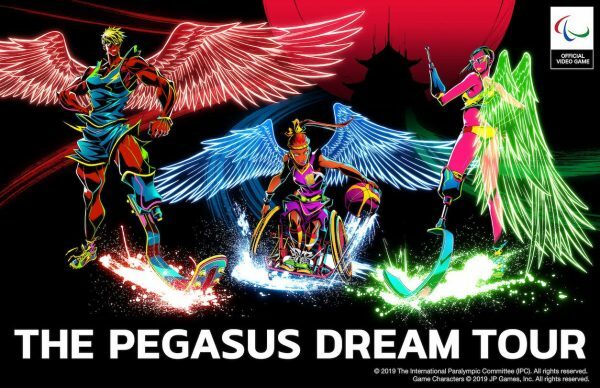 The Pegasus Dream Tour is an official game for the 2020 Tokyo Paralympics, and is being developed specifically to help raise the profile of the "other" Olympics. In Australia, the Paralympics barely gets a mention. After wall-to-wall 24-hour coverage of the Olympics on network TV, the Paralympics gets a couple of hour recap show, if that. But in Japan it's a little different and there's much closer parity to coverage between events. So it's a good thing that a Japanese developer is looking to find ways to help the Paralympics find a wider audience outside of Japan. One assumes that the Pegasus Dream Tour will release around the time of the Olympics, which is in 500 or so days from now. It's being developed for "multiple platforms, including mobile." I absolutely love the art style from the promotional image.